Then, add up to 3/4 cup (100 grams) all-purpose flour and mix. 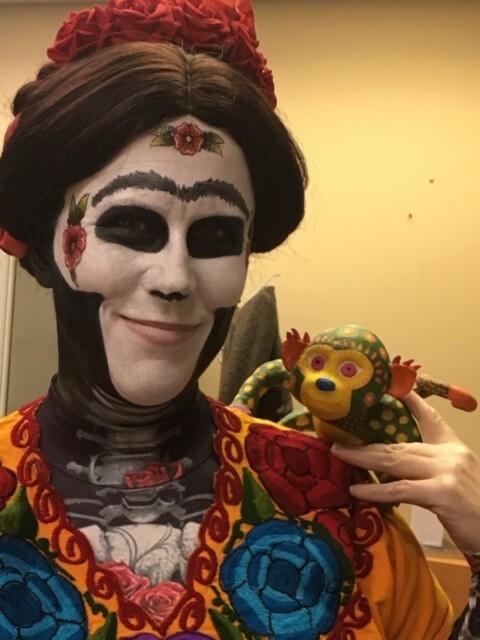 You can also use this recipe with any of my patterns for masks and sculptures, but you may need to brush some Elmer’s glue onto the cardboard to make sure it will stick. Note: This clay is a variation of my original paper mache clay recipe, and it’s intended to be used as a thin layer over an armature. It won’t dry all the way through if you use it as a thick, solid mass, like ‘real’ clay. However, many readers have told me that it works well in small silicone molds, and some people have used it for beads. If you want to use it without an armature, be sure to do your own tests to make sure it will be strong enough for your needs. 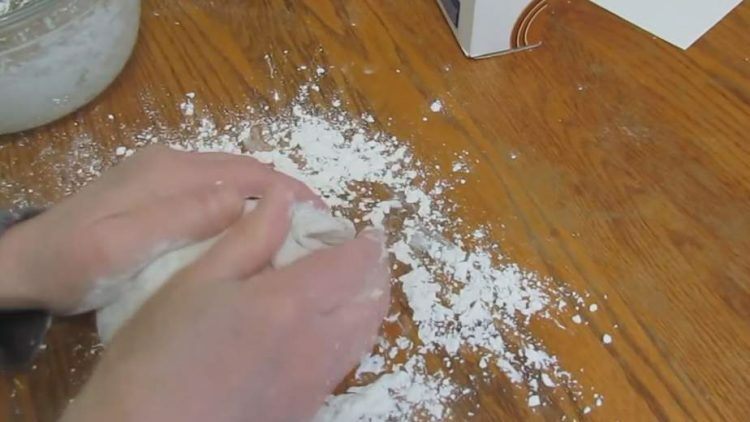 This clay isn’t as sticky as the original paper mache clay, so there are some tricks to using it. Be sure to watch this video to see how it’s done. You’ll need 24 grams of dry toilet paper. You can use any brand. 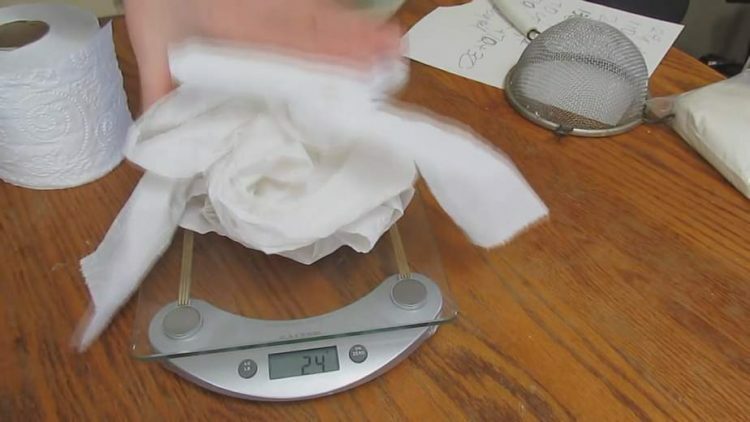 Use plenty of water, and swirl it around with your fingers to separate the fibers. A metal sieve works really well for this. You’ll need 110 grams. 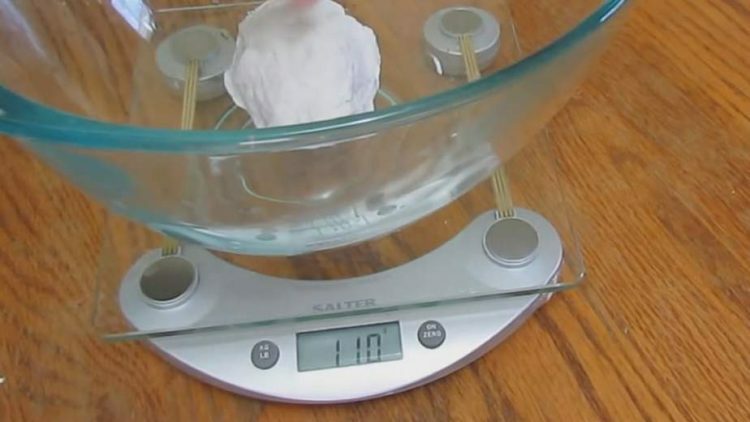 Keep squishing out water until the scale shows you have only 110 grams of paper and water. In this step you only want to use half of the flour. You’ll mix in more flour in the next steps. 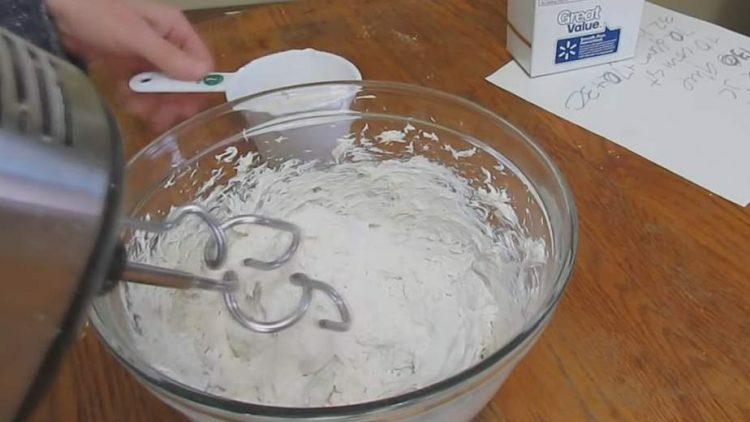 Use your dough hooks for this step, because the air dry clay will start to get very heavy, and the regular mixing blades don’t work very well. 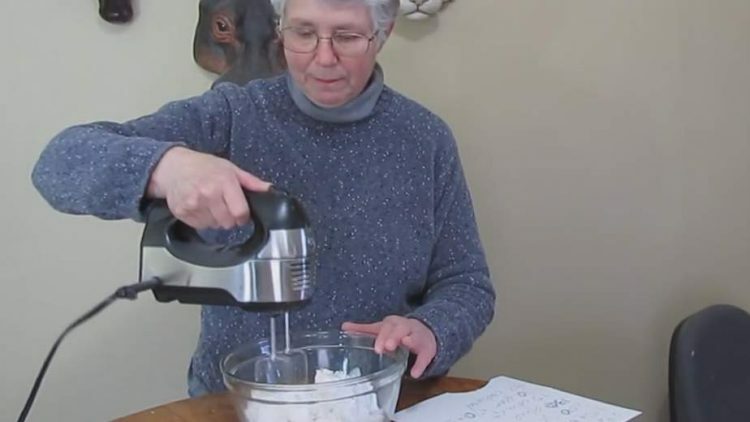 If the mixer has to work too hard, you may need to do this part by hand – you don’t want to burn out the motor! The amount of corn starch is entirely up to you. It will make the air dry clay stiffer, which makes it easier to form fine details. However, the stiffer it gets the less sticky it gets, so pieces of clay won’t stick together as well. 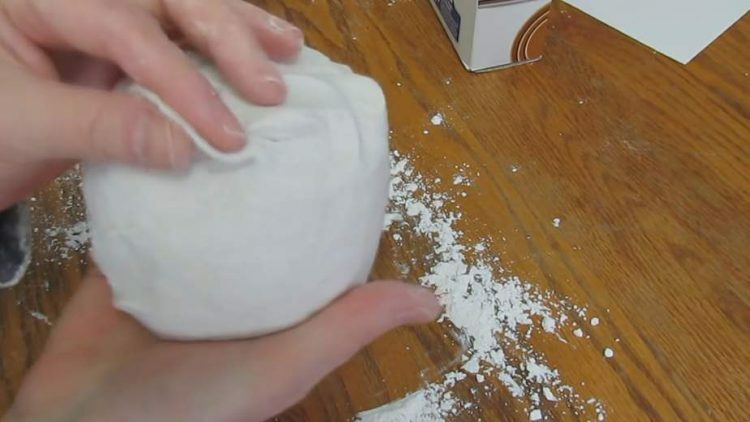 Play with it with different amounts of corn starch until you get it the way you like it. Aaah, so your sculptures are not waterproof when they are dried? How long does it last in the bag before you have to use it? Maybe word that better…… What is the shelf life after made and placed in air tight container? Hi Faith. Paper mache isn’t waterproof, and neither is the air dry clay recipe. If you want to put your sculptures outside you would probably want to use a product like Apoxie Sculpt. When it’s still wet and in the bowl, the air dry clay will last for several days in an air-tight container, or indefinitely if you keep it in the freezer. After it dries on your sculpture it will last as long as it’s been sealed with a good acrylic varnish. Thanks for your recipes. What do you think of using talcom powder instead of flour? To make it less edible to insects? And do you know what joint compound is called in France? I’ll try to upload a picture of my project. Thanks again for your time and guidance. Hi Angela. I don’t know how the talcum powder would affect the other ingredients, so I can’t say if it would work or not. According to one of our readers, joint compound is called “Enduit pour joints” or “Enduit à joints”. I don’t speak French myself, so make sure this is the product used on walls. And get the premixed kind, not the powdered kind that has plaster in it. Your photo didn’t work – did you try to resize it to make the file size under 250 kb? I wont to get the best smooth surface. Can i use only The air-dry clay recipe directly on the masking tape? Or must I use as first layer the Paper Mache Clay and only than as second layer The air-dry clay recipe? Hi Lily. I haven’t tested the air dry clay as much as a lot of our other readers have. I’ll ask your question over on the Daily Sculptors page and see if someone has some good suggestions for you. I’m currently working on a new technique that I haven’t used in the past, and that’s to use the original paper mache clay for the first layer (or, in my case, the new paper mache clay recipe that doesn’t have any flour in it), and after it dried I added a very thin skim coat of drywall joint compound. I’m getting a very smooth surface fairly quickly. I’ll be doing a video about it in the next few weeks. In the meantime, I’ll let you know if we get some answers for you from other readers. Hi again. We’re getting some great feedback for your question on the Daily Sculptors page. Click here to read what folks are saying. How long will this last wrapped in plastic wrap, or in an air tight container? Using it in my classroom, and would like to make it ahead of time. Hi Alexa. It will last for several days, but eventually the mold spores will find the flour and other organic materials in the mixture. To keep it longer, keep it in the freezer when you’re not using it. Hi Tina. I have no idea if it would work for the purpose you have in mind. This is not paint, and I don’t know how the ingredients would chemically react if you added paint to the mix. But if you experiment with it, we’d love to know what you find out. Hi Jonni, I really love this recipe, however I have a question. I have sculpted a starfish and sanded it down nice and smooth after drying. It now is smooth, but the surface is now a bit “dusty” I guess. I want to paint it and add polymer clay details to it, but I think it would need some sort of undercoat or base layer to elimanate the dustiness. Does that make sense? What can I use that is not varnish as I would still need to paint after application. I see you have a homemade gesso recipe – is that perhaps the next step? Thank you. Hi Ruby. The homemade gesso works fine, but so does any commercial acrylic gesso. You can find acrylic gesso wherever art supplies are sold, and you can use it under any painting, whether it’s on the air dry clay, paper mache, or canvas. The home made version is quite thick, so it will add brush marks – and you might need to sand it again to remove them. That will create more dust. The acrylic gesso goes on thinner. Another option is a spray primer from the paint store. I have seen some recipes that add glycerin to the mixture to prevent possible mold growth. Have you ever done this? Have you encountered a mold issue at all? Hi Kathleen. I don’t live in a humid environment, and I always use a thin layer of the clay over an armature so it will dry quickly. The only time I’ve seen mold is when I left the unused clay in the bowl too long. It does contain organic ingredients, so it can encourage mpld if it stays wet. I don’t know if glycerine inhibits mold or not, but if you can’t get your sculptures dry fast enough, it might be worth a try. Another option is to add a teaspoon of household bleach to the mixture, to kill any spores that are already there. But you would still need to dry your sculptures as fast as you can. I put mine in front of a fan. Thanks Jonni. So I’ve gotten to the clay and I’m just wondering How long it can take to dry. Most of it is dry, except around the head where I had to use a little more that everywhere else. Maybe a few cm thick in places. I’ve left it overnight and it is still spongy to the touch on the head. Would placing it in the oven on the lowest setting work to speed it up? Or should I just wait a bit longer? It is really looking great. When it’s done I’ll send you the pictures. I tried posting one here but it was too large a file. I’ll figure it out. Thank you again for you help. It’s quite fun. Hi Sarah. It isn’t unusual for the air dry clay to take a few days to dry. I find that it really helps to put it in front of moving air. If your furnace is on and you have warm moving air, even better. It can feel dry on the outside and still be damp inside, so give it plenty of time. Here it is! I got so many compliments. Telling everyone I got directions and help from you. Thank you so much! Have all the stages in pictures too and would love to share them but I think the files are too big. ? Hi Jonni, I’m working on making a monkey to go along with a Halloween costume and have found your website extremely useful. I would like to make the air dry clay recipe ahead of time as Im not going to have access to all the tools I will need at the time I need. I saw you place the clay in a sealed plastic bag. How long can the clay stay in there before I see negative effects? Or have challenges? When I’m done the monkey I’ll send a photo. Hi Sarah. I can’t wait to see how he comes out! As for the air dry clay, if you have to make it ahead of time it would be best to keep it in the freezer until you need to use it. The organic materials in the mixture could eventually encourage the growth of mold, even in a perfectly closed container if it stays at room temperature. If it’s frozen it should last for months. Good luck with it! Thanks Jonni. So far so good. Just finished the first layer of paper mache tonight. I need help! I have a wedding in about a month and money is a problem soo..hahahhaha…. I want to try and make my dinner plates! It’s a Bohemian wedding and we are “up-cycling” is a big part of the wedding so self-made plate will fit in, i hope. Please, can you give me advice as to what recipe to use, a sealer afterward or any other advice? Hi Jacolize. This is an interesting idea, but I’m not sure I can help. Almost all art products contain elements that we really shouldn’t eat, and that includes almost all forms of varnish. There are a few food-safe sealers that you can find in the paint department of your local DIY store, which are intended for use on wooden bowls and cutting boards. 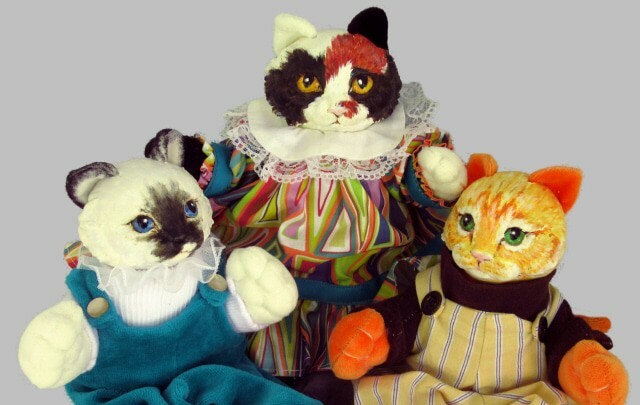 I believe they’re made of wax. One of them might do the trick. The other problem would be the paper. I don’t know what kind of paper is used for paper plates, but I assume the companies that make them do some testing to make sure none of the chemicals used in creating the paper could cause harm when used for this purpose. I wouldn’t want to eat newspaper, for instance, but maybe it’s perfectly safe – I just don’t know. White paper is bleached – but with what, and is it safe? Again, I have no idea. I did a fast Google search for an alternative to home-made paper plates, and the only thing that looked promising was an amazon.com ad for these plates. They’re made with wheat straw. They’re recommended for daycare use, so they must be safe to use. You could paint the back if you’d like to get creative, but you wouldn’t want to use any artist’s paint on an area where food would come in contact with it. I know I haven’t been very helpful. You might want to repost your question on the Daily Sculptors page, and see if one of my readers has better ideas for you. And I hope you have a fantastic wedding! I made the clay but it looks less plastic and sticky than your. I wonder about the Drywall joint compound… Is it the powder that you mix with water and use to seal drywall joints, right? In the recipe should be used as powder or already mixed with water? Maybe somebody already knows how is it called in Italy? Hi Luca. The drywall joint compound we use is the kind that comes pre-mixed in a plastic tub. It isn’t the dry powder, which contains plaster of Paris. I don’t think any of our readers have told us what it’s called in Italy, but according to Google Translate it’s called composto dell’articolazione del muro a secco. I don’t know if that helps or not – but it is a product that’s used to seal drywall joints. It just isn’t the powdered kind – we use the premixed version. 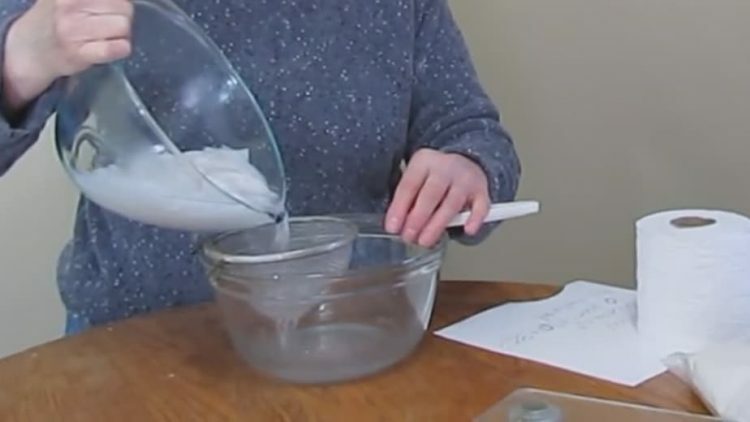 It’s possible that you could use your powdered joint compound if you mix it with water, according to the package directions, before adding it to the recipe. However, I haven’t tried it so it would be an experiment. Good luck with it! which plaster can I use best? I’m from the Netherlands. Are you talking about the drywall joint compound? One of our readers told us it’s called Voegenmiddel in Dutch. Does that help? yes, I mean that (Drywall Joint Compound) oh is that in Dutch voegenmiddel…… thank you so much, I know what to buy now. The dutch word is: gips vulmiddel. The brand is Alabastine and then the premixed one in a the plastic tube. Het gaat om Alabastine gips vulmiddel kant en klaar uit een tube. I want to use this recipe with children. Are there any concerns about skin irritation with the joint compound? The joint compound will dry the skin if they play around with it a lot, and it isn’t edible. If the kids are young enough to put the mixture in their mouths, they should stick to the traditional paper strips and paste. Or if you want them to use it like real clay without an armature, you can find some great recipes online for play clay made with corn starch. Hi! Thank you for sharing all your techniques and recipes! I’m working on a portrait mask project and I hope I can get it all to work. I gathered the ingredients and followed your instructions. Unfortunately I only had DAP joint compound, but I made a batch of clay anyway. Is there a reason DAP doesn’t work? What will happen? Thanks! Hi Rebecca. It’s possible that your batch of DAP joint compound will work just fine. But some of them turn the mixture into little rubber balls. If it isn’t that drastic, it just becomes really stiff and hard to spread. If your batch is more like cake frosting than Flubber, it will be just fine. Good luck! Thanks for responding so quickly! I was able to use it this time but next time I will get another brand. It is drying right now so I won’t know if it truly works or not until it’s hardened but it behaved just fine when I was applying to my mask so my fingers are crossed! I just came across your videos on you tube. I have tried one project so far with diy paper clay. I am excited to try your recipe and hope to have a smoother. Texture thats easier to use. Thank you! I’ve just came across your recipe as I’m looking for a no-crack paper clay. I would like to make a fun project – garden figures and home decor figures using plastic bottles picked up from the local beach. I was wondering would the clay survive well outdoors? I’m planning on painting and varnishing the completed figures. Hi Anna. My original paper mache clay recipe is very strong, so it rarely cracks if used in a thin layer over an armature. However, my own experiments with trying to waterproof it (or any other paper mache) have not been successful. I now use an epoxie clay, like Apoxie Sculpt or Free Form Sculpt, for my outdoor projects. 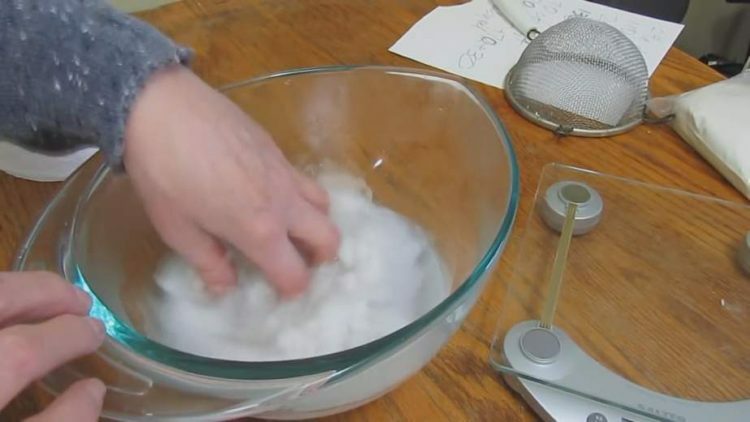 That said, several readers have done their own experiments, and they believe they might have found a material you can use over paper mache to make it weatherproof. Tom’s bear is ‘living’ outside, and his guest post explains his process. I’m sure if you leave a comment below his article he’d be happy to answer any questions you might have. Oh, thank you so much for pointing me in the right direction. I appreciate it!